Welcome to Codebook, among the least flammable cybersecurity newsletters on the market today. 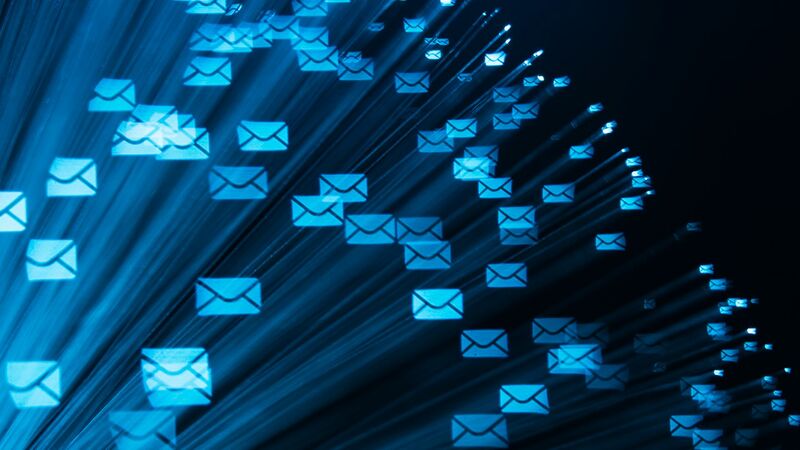 Supporters hope this will finally be the year that the Email Privacy Act will become law. The draft legislation — which has passed the House twice before — would require authorities to get warrants before gathering evidence stored in the cloud, and it's included in the House versions of two must-pass bills announced over the past week. Why it matters: You might expect that police would always need a warrant to search someone's web-based email archive, cloud-stored files or social media direct messages. In reality, that's not a sure thing. A 1980s-vintage law known as the Electronic Communications Privacy Act (ECPA) actually gives law enforcement the right to seize files without judicial review if they have been stored on someone else's hard drive for more than 180 days. Courts have limited ECPA's reach, but the outdated rule is still on the books. Background: That statute made more sense before people started putting all their information online and leaving it there. Nearly all major online providers require a warrant for that data despite ECPA. In 2010, a landmark Sixth Circuit federal court decision ruled it unconstitutional for law enforcement to conduct these searches without a warrant. "The Fourth Amendment is very clear — if the federal government wants to access Americans’ digital content, it must get a warrant," said Rep. Kevin Yoder (R-Kansas), who co-wrote the bill with Rep. Jared Polis (D-Colo.). "It’s time our laws reflected that principle." Why new legislation is needed: "The Sixth Circuit case technically only applies in the Sixth Circuit," said Tommy Ross, senior policy director at BSA, a software industry lobby. "It's important to codify what is already common practice." But, but, but: Not all Federal agencies have the ability to obtain warrants. For a Security and Exchange Commission investigation, for example, ECPA is the only game in town. The new law would tie its hands. Why now: The Email Privacy Act passed the House in 2016 and 2017, but failed in the Senate each time. Supporters think this time will be different. The act is attached to two high-priority bills — the defense authorization bill and the finanancial services appropriations bill. Ross is optimistic because there has been some ECPA reform already this year, including passage of the CLOUD Act that changed the process for international data warrants. The pending Supreme Court decision in Carpenter v. U.S., a case about whether law enforcement can access cell tower data without a warrant, also deals with ECPA. Meanwhile, Chinese tech giant Tencent said it aimed to reduce China's dependence on U.S.-made components, and President Trump announced plans for new trade restrictions against China. Two Canadian banks — Simplii Financial and BMO — announced Monday that "fraudsters" stole data from a small fraction of their accounts. The details: Though details are scant, each bank said it was contacted Sunday by thieves saying they had stolen customer information. Both releases referred to the crooks as "fraudsters." Simplii said around 40,000 customers were hit. BMO did not announce a number. BMO said it was confident it has closed off the avenue through which the accounts were stolen, though neither said what that method was. Both banks are contacting customers. President Trump’s charge that the Mueller investigation is going to tamper with this year’s American elections coopts language from the 2016 election hacking scandal to discredit the probe that scandal inspired. Why it’s an awful analogy: Russia is a foreign country that Democrats, Republicans and the international community agree broke U.S. law to try and sway the American election. The Mueller probe is home-grown and thus far well within the boundaries of the law. Why it matters: If Trump succeeds in taking a legal investigation into foreign interference in one election and rebrand it as “meddling” in another election, he will muddy our necessary bipartisan national conversation about what happened in 2016 — and how to protect future U.S. elections from real foreign "meddling." Papua New Guinea may ban Facebook for a month to see what happens.